If reports from insiders are to be believed, India will have its own set of rules and guidelines on Bitcoin very soon. It will determine the roles and responsibilities of different regulators. An all-inclusive government policy on Bitcoin and other such cryptocurrencies are currently being finalized by important institutions. While many fear that going forward, cryptocurrencies may be banned in India, the crypto community has refuted such ‘rumours’. Ajay Tyagi, Chairman of the Securities and Exchange Board of India said that the roles of the different regulatory bodies with respect to cryptocurrencies have already been decided. Amidst the unremitting fluctuations in the crypto market and the mounting concerns regarding the welfare of the stakeholders, Tyagi told the New Indian Express that the regulations are expected to be out soon. He refused to provide further information and insisted that the official spokespersons would do so once the policy is decided upon and announced. Tyagi made this statement after the budget for the financial year 2018-2019 was announced by Arun Jaitley, the Finance Minister. While announcing the budget on February 1, Jaitley had reiterated one of his previous statements- cryptocurrencies are not acknowledged as a legal tender so far in India and the Union Government will take the necessary steps to eliminate its uses in funding illicit undertakings. Instead, the established order will support the use of Blockchain technology in its payment systems. The Securities and Exchange Board of India (SEBI) has formally requested the Department of Economic Affairs (DEA) to summon a meeting regarding the proposed regulatory framework, Tyagi revealed. 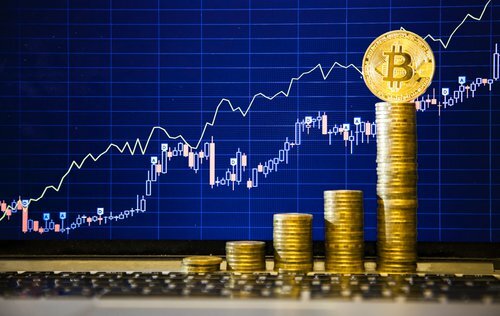 Back in December, the Finance Ministry broadcasted that it was forming a distinctive panel which will monitor developments, and help in propelling the adoption of crypto regulation. The representatives of the Reserve Bank of India, the DEA and the Income Tax Department were supposed to be a part of this committee. Previous reports by the media claimed that new regulations would be enforced by March-end. These would comprise anti-money laundering techniques and arrangements to stop tax evasion. Claiming suspicious transactions, the authorities have been targeting cryptocurrency exchanges in India and have suspended some of their accounts. Up until recently, the Income Tax Department declared that it had issued legal notices to 1 lakh cryptocurrency stockholders after closely observing the operations of the leading trading platforms. The crypto community in India was expecting more clarity from the 2018 budget with respect to the tax policies on cryptocurrency transactions, incomes, and profits. Trading and mining platforms have also sought clear guidelines from the Union Government as most of their queries are yet to be unanswered.